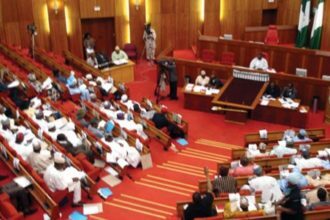 The Senate on Tuesday opposed the planned closure of the Nnamdi Azikiwe International Airport, Abuja, for the repairs of its runway and the diversion of flights to the Kaduna airport. 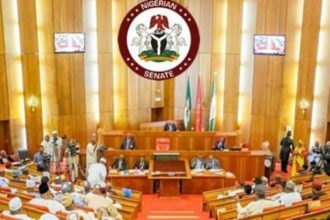 The lawmakers summoned the Minister of Transport, Rotimi Amaechi; Minister of State for Aviation, Senator Hadi Sirika; Minister of Works, Housing and Power, Babatunde Fashola; Minister of the Federal Capital Territory, Mohammed Bello; Chief of Air Staff, Air Marshal Sadiq Abubakar, and heads of aviation agencies. The Senate acted on a motion titled, ‘The planned closure of the Abuja airport’; which was moved by Senator Hope Uzodinma (lmo West). Also, the motion had senators Ike Ekweremadu (Enugu West), Enyinnaya Abaribe (Abia South); Abdullahi Gumel (Jigawa North-West); Fatima Raji-Rasaki (Ekiti Central); and Baba Garbai (Borno Central) as co-sponsors. Uzodinma, while moving the motion, said the Senate noted that the Federal Airports Authority of Nigeria planned to close the Abuja airport for six weeks, beginning from March 6, 2017, to carry out repairs on the only runway at the airport. The senator stated, “The Senate is worried that a six-week outright closure of a major and the only airport in the nation’s federal capital can trigger untold hardship on international and local air travellers and consequently dent the nation’s image. “It is concerned that a complete shutdown of the airport will impact negatively on international trade and related activities, with a multiplier effect that can exert further pressure on an already recessed national economy. He said the Senate was aware that major repairs in the past had been carried out without the closure of the airport, noting that one more major repair without closure would afford the government the needed time for the construction of a second runway as a permanent solution. “The Senate is determined to explore all other possible options that can avert the planned total closure of a strategic national port as the Nnamdi Azikiwe International Airport for six weeks with all its attendant consequences, including the breach of international conventions and treaties,” Uzodinma stated. 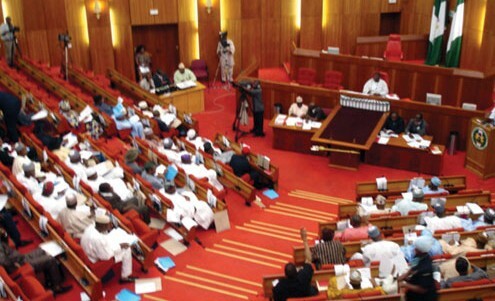 Senate President Bukola Saraki, who presided over the plenary, criticised the planned closure.